Los Verdes Hole 1: The first hole is a 90 degree dogleg left par five. A layup can be hit and is the safest route from the tee, but a big hook drive can make the first hole an easy birdie. If the drive doesn't hook or hooks too much, trees will cause problems. The green is substantially uphill. 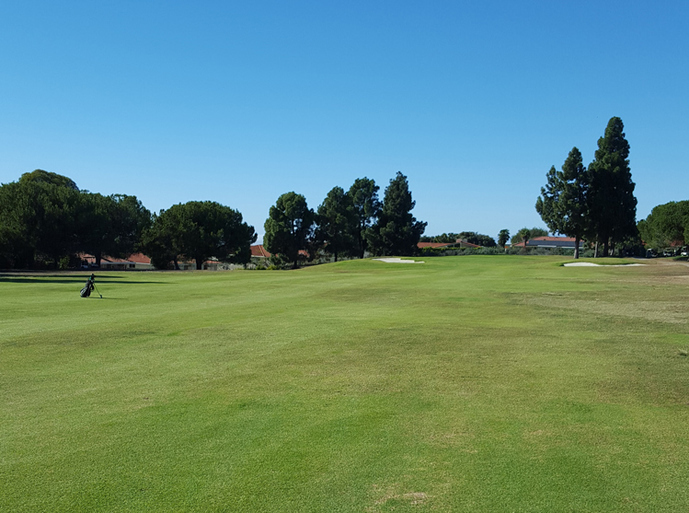 Los Verdes Hole 4 (left): The only true test of golf on the front nine, this long par 4 plays to a crest in the fairway about 270 yards from the back tee. From there the fairway levels until about 20 yards from the green, where it drops to the un-bunkered putting surface. So, as long as golfer can keep his shots straight, reaching this tough hole in two is still an option, but one bad shot and bogey or worse lurks. Los Verdes Hole 6 (below): This par five is a long one but a booming drive over the bunker on the inside of the slight dogleg left can shorten it substantially. The green is relatively small and well bunkered. Los Verdes Hole 8: The middle of three par fours to wrap up the back nine is the most interesting one. There is OB left and a very large sand trap at the corner of the dogleg. The player can stay back of the trap and still have a mid or short iron, but taking it on provides a wedge and better angle to the elevated green, which has great views. 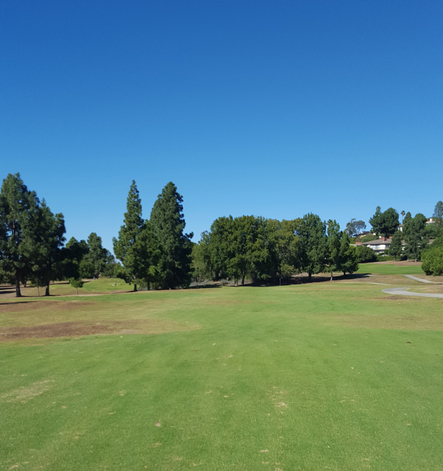 Los Verdes Hole 11: This short par 4 has one of the best views, if not the best view, in Los Angeles golf. 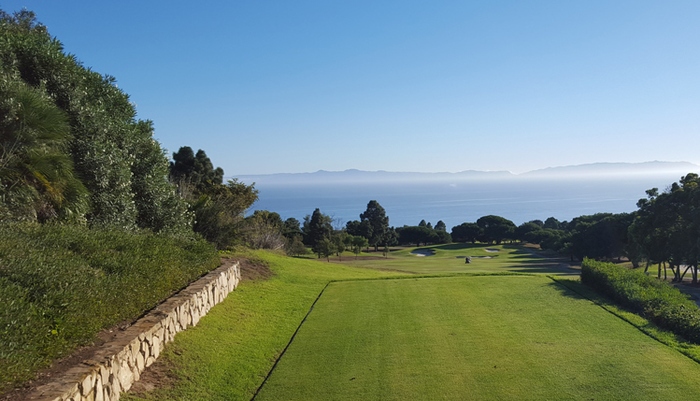 Perched high above the fairway and green, the tee boxes face the Pacific Ocean and Catalina Island directly, and offer at least 120-degree views. The hole itself is very short and can be driven. However, the two large fronting bunkers will make getting up and down very difficult and the putting surface is sharply contoured. 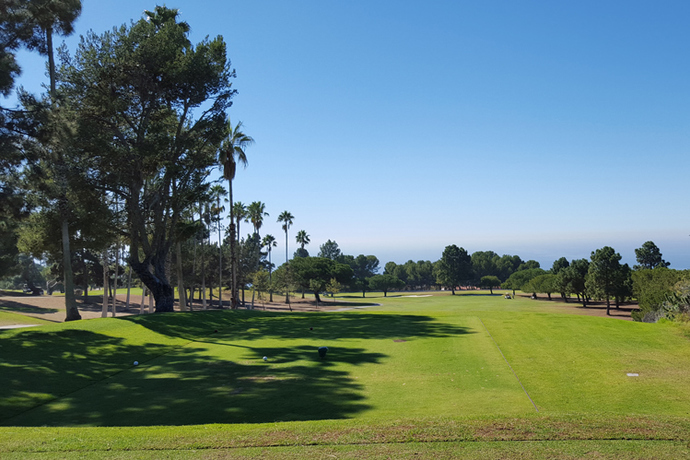 Los Verdes Hole 16: This dogleg left par 5 plays around the obvious OB and spectacular ocean views on its left. However, the aggressive drive will cut over that corner to leave a chance at reaching the green in two. This, however, is a dangerous proposition, and no guarantee of birdie as the green complex is very narrow and surrounded by trouble in the form of sand traps and the hillside still to the left. 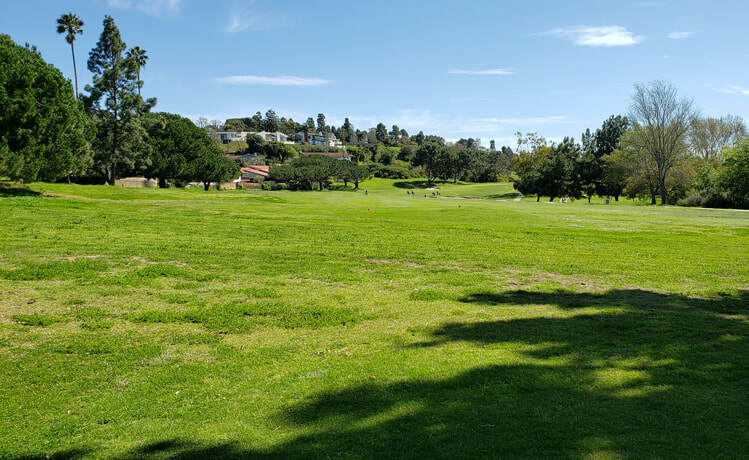 Read More Los Angeles Golf Course Reviews.